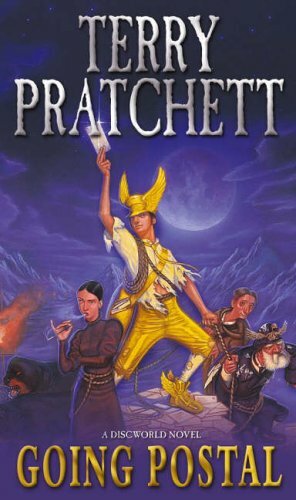 Moist von Lipwig is a con artist and a fraud and a man faced with a life choice: be hanged, or put Ankh-Morpork's ailing postal service back on its feet. But he's got to see that the mail gets through, come rain, hail, sleet, dogs, the Post Office Workers' Friendly and Benevolent Society, the evil chairman of the Grand Trunk Semaphore Company, and a midnight killer. Maybe it'll take a criminal to succeed where honest men have failed, or maybe it's a death sentence either way. 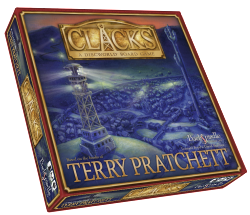 Back Spindle Games have created a board game based upon the Clacks system and Clacks race from Going Postal.